Orthodox soldiers are not permitted according to halakha, Jewish religious law, to stage a walkout at events that feature women singing, the head of the religious kibbutz movement’s yeshiva at Ma’aleh Gilboa stated. Rabbi David Bigman states that Jewish religious law requires that when a conflict arises between the prohibition against hearing women singing and the harm caused to human dignity from staging a walkout on such an occasion, the Torah does not require soldiers to leave. He said this would be the case “even if one doesn’t accord any importance to my halakhic stance that the prohibition against hearing a woman [sing] does not apply to innocent singing.” The walk-out would not be allowed even if the singing was not deemed “innocent,” he said. The State stressed in its response that according to army rules, a soldier may choose not to take part in a cultural or recreational activity if he fears it may violate his faith or values, but that the discussed event – which focused on military history – did not apply to these definitions. According to the State, when it comes to activities that are not considered cultural or recreational, IDF commander must examine each case individually and make a decision. Despite the stance taken by the Attorney General’s Office, its response nevertheless stated that Glickman would be able to start a new officer’s course when it starts in six weeks. The Supreme Court, sitting as the High Court of Justice, ruled on Wednesday that it would not issue a temporary injunction against the expulsion of army cadet Yoel Glickman from an officers course. Some 42% of officer course cadets are religious these days and we even have religious division commanders and a religious deputy army chief. All of these religious soldiers will desecrate the Shabbat in case life is on the line, yet female singing is not such case. Neither is the singing of males, by the way. The military’s cultural offerings must undergo a comprehensive reform that will adapt them to the sociological changes in the IDF. If we cannot avoid the friction between female voices and religious ears, perhaps we should be giving up our military bands. Former Army Chief Rafael Eitan already terminated them once upon a time; who was the idiot who brought them back? 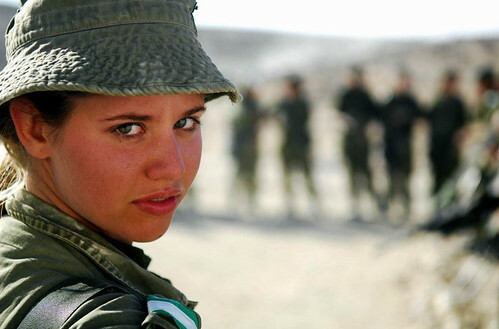 There is one part of society, however, that might be hurt by the rise of Orthodox soldiers in the IDF – women. …Integration of both women and religious men into the IDF’s most prestigious units need not lead to strife and confrontation. In most cases both the religious sensibilities of devout soldiers and the aspirations of women for professional advancement can be accommodated, provided there is good will, mutual respect and the restraining of religious fanaticism. The issue is not only the soldiers’ rights to be loyal to their religious conscience. We are talking about respect for Jewish tradition. The officers’ actions also show a lack of national responsibility. At a time when everyone knows just how important it is for the Haredi public to become integrated into the army, these officers blatantly declare – with the support of the Chief of Staff and the Minister of Defense – that the army has decided to humiliate the religious and Haredi public who are loyal to Jewish tradition. …This is exactly what the religious and Haredi community leaders must do now – to demand these officers’s dismissal from the army. Nothing less. The religious-Zionist rabbinical group Tzohar, which provides rabbis free of charge to perform weddings, announced on Tuesday that it has succeeded in gaining approval from the Council of the Chief Rabbinate to conduct wedding ceremonies. Due to a number of exceptions and ongoing pressure, Tzohar has nevertheless managed to perform 3,000 weddings a year, approximately 20% of all secular weddings. Rachel Azaria spoke by phone with The Sisterhood about the challenges and rewards of Jerusalem politics, how women’s issues play into them, and her thoughts about Israel’s social justice protests this summer. First of all, the non-ultra-Orthodox are finally starting to realize that we are idealistic, that we have something substantial to say…We post-modern, multicultural people didn’t really stand up for what we believe in. Now suddenly we are saying this is important to us, we can’t all the time agree with the Haredi demands. To tell women that they have to sit at the back of the bus, or that they have to stand in certain lines in the supermarket, or that the supermarket will be closed to women during certain hours goes against our beliefs, and we will not stand for it. When we talk this way, then we approach the Haredim in a different manner than just a conciliatory one. In Israel, Yoskowitz found that consuming pork came to stand for something important and distinct in the lives of secular Jews, Russian immigrants, and foreign workers in a Jewish State. 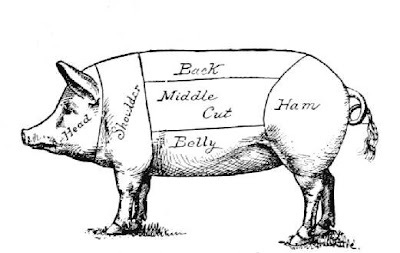 Elsewhere in the world, eating pork can represent assimilation, seclusion, and the range of emotions in between. Pork Memoirs came about after conversations about his research on the pork industry yielded a supply of narratives from others. Dr. Alex Sinclair is the Director of Programs in Israel Education for the Jewish Theological Seminary. He directs Kesher Hadash, the semester-in- Israel program of JTS’s Davidson School of Education. Israeli Judaism is much less egalitarian than American Judaism, and that causes many liberal American Jews, especially, ironically, the more committed ones, to feel disconnected from Israel. Until now, Israel engagement, rooted as it is in the single-location approach, has had no response to this problem. Our responses are usually limited to having American Jews try to just accept that Israel is a more traditional society, and brush aside their egalitarian commitments. Instead, the Israel engagement agenda needs to turn to Israelis, and open the conversation about Jewish egalitarianism. According to JAFI, over 60% of those who moved to Israel from the FSU over the past 12 months are under the age of 34 – almost double the figures reported in 2005. Israel is also particularly attractive to the growing number of Americans who have been to Israel before and have close family members here, Chaim Waxman said. In July alone, over 700 olim arrived at Ben-Gurion Airport on specially chartered flights arranged by Nefesh b Nefesh. The new immigrants arrived from North America, Brazil, France, Belgium, Italy, Britain, Australia, New Zealand and the countries of the former Soviet Union. The Israel Defense Forces now has an all-immigrant tank crew. Four new immigrants, all of whom came to Israel as lone soldiers from different countries, are currently sharing the same tank in their advanced training phase at the Shizafon army base near Eilat. They share a strong bond to each other and to the state. Israel advocacy organizations have enlisted an unexpected group of citizen diplomats in the form of El Al pilots and flight attendants who will give talks about Israel when they are abroad. A part of the Teach For America (TFA) program, which taps recent college grads to teach in economically distressed communities, Linn was one of the 57 TFA educators — including several from Los Angeles — who visited Israel this summer on a trip of professional development and personal discovery. Funded by the Charles and Lynn Schusterman Family Foundation (CLSFF) and the Samberg Family Foundation in partnership with Teach For America and the ROI Community of Young Jewish Innovators, the visit introduced TFA corps members to Israel’s education and social justice systems through the prism of Jewish values. Two prominent Religious Zionism rabbis have strongly condemned the “price tag” activities committed by extreme right-wing activists, and have even called on settlers – for the first time – to turn in the criminals to the army. The two are the heads of the Har Etzion Yeshiva and are among the settler public’s moderate religious leaders: Rabbi Aharon Lichtenstein, 78, who is considered a genius on halachic issues, and Rabbi Yaaqov Medan, 61, considered the yeshiva’s most rightist leader. The writer is the former spokesperson for the Yesha Council. It is accurate that following the destruction of three homes in Migron two mosques were vandalized, but until anyone is convicted for this heinous act why is Rabbi Blau automatically assuming that this was a so-called “price tag” act carried out by Jews? The writer is a business executive and rabbi. He serves as chairman of the board of directors of Rabbis for Human Rights. Opinions expressed here are his own. As pointed out by Rabbi Yosef Blau in his recent piece in The Jerusalem Post, some yeshivas in the settlements are teaching values that may lead some of the “hot-headed youth” to engage in price tag actions. These yeshivas neglect the welfare of their students’ souls if they fail to also teach them that these actions are grave sins. Israel’s international isolation and the hatred of Jews worldwide are the punishment for the demolition of three houses in the Migron outpost two weeks ago, Kiryat Arba Rabbi Dov Lior ruled Monday during a conference held at the Binyamin region community. Frustrated by the restrictive no-fire orders handed down by IDF attorneys, local rabbis and leaders are asking the Chief Rabbis of Israel to take the rare step of issuing a direct contradiction. While the Rabbinate avoids involvement in military affairs, the rabbis said that in this case, the orders are a case of “pikuach nefesh,” life and death. A number of senior religious- Zionist rabbis gathered in the settlement outpost of Migron on Monday to denounce the destruction of three homes carried out two weeks ago in a joint army and police operation. For their part, it is also no wonder that natives of Tel Aviv express the fear that it’s not Israel that occupies the West Bank but the West Bank settlers who are now annexing Israel, as they pour more concrete and have more children, who are taking key positions in the army, government, and civil administration, which controls everything here from electricity to water to schools. The settlers embody an essential conflict at the core of the state of Israel. Before clearing the notes, the workers must bathe in a mikveh (ritual bath). Moreover, they must use special wooden sticks to reach the higher notes. Metal is forbidden as it is considered impure. 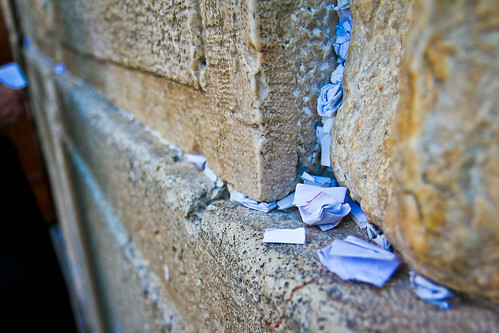 The note removal works will be supervised by Western Wall Rabbi Shmuel Rabinowitz, who will ensure that no one opens the notes and reads the wishes written in them. A thousand wealthy individuals, whose combined worth was estimated by TheMarker at $20 billion, airlifted themselves to the tomb of the “Pele Yoetz” in a remote region of Bulgaria, where they were advised to go by the rising kabbalist star, Hasidic Rabbi Yoshiyahu Pinto. “Sefer Ha’agadot Shelanu” (“The Book of Our Legends”; Kinneret Publishing House ) is a collection of stories from the Talmudic sages for children. The book has a large format, with lovely illustrations by Vali Mintzi and an inviting cover. The stories are told simply and are not overembellished. But their sophistication, and the various layers of meaning that are characteristic of the legends of the sages, can be found between the lines. Israeli newspaper Yediot Aharonot reported Friday that local shofar sellers are red in the face over a decision by the defense ministry to purchase 150 of the rams’ horns from suppliers in China and Morocco. Jewish, Christian and Muslim prisoners serving time in Israeli jails flocked to a Bible contest last month sponsored by the South Bloc of the Israel Prison Service. Rabbi Rafael Halperin, one of the world’s most intriguing rabbinical figures—and surely the only one to have worn a Speedo and grappled with the world’s toughest wrestlers—died last month at the age of 87. …Although he was never typical of any particular strain of Judaism, Halperin always remained religious, and in the 1970s, he returned to yeshiva to earn his rabbinical ordination. …But Halperin’s last great business venture was perhaps his happiest. Last year, he opened “Zisalek,” the first glatt kosher ice cream shop in the ultra-Orthodox neighborhood Mea Shearim and the only ice cream shop in Israel with separate lines for men and women. The shop was such a hit that its opening nearly caused a riot. Halperin claimed to be shocked at Zisalek’s popularity. But a riot? He was used to that. The transformation in the Catholic-Jewish relationship since the Second Vatican Ecumenical Council has been dramatic. Arguably there is nothing com[arable in human history.